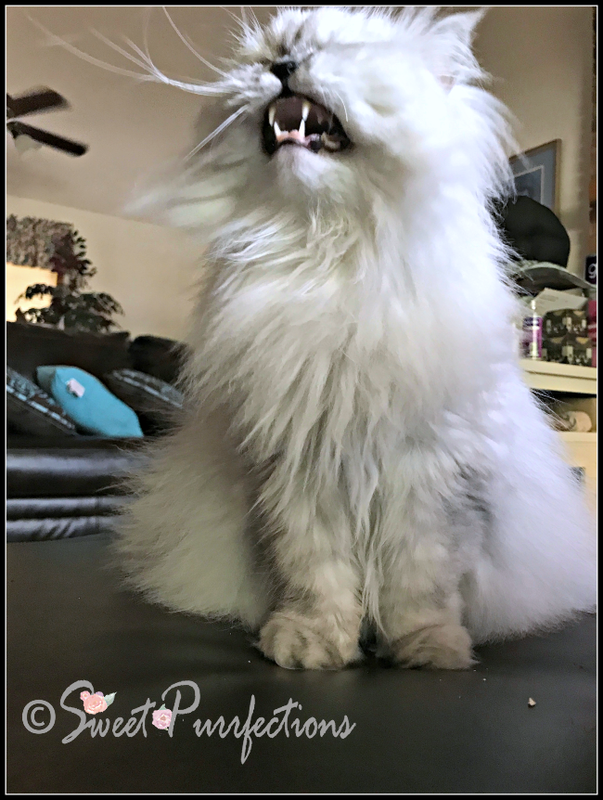 Sweet Purrfections: Hear Me Roar! 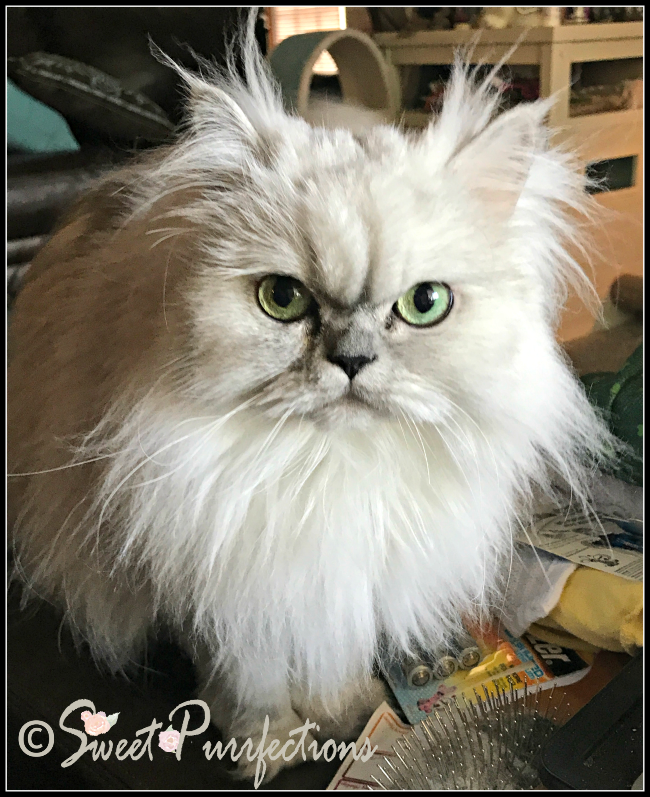 Truffle is definitely our diva kitty! She knows what she wants when she wants it and she isn't afraid to let you know. The cute thing about it is that she has the sweetest little meow, so her roar isn't very powerful in sound, but what she shows in "divaship" makes up for it. You should see her strut into a room with a plan in her mind. If her "roar" and "strut" don't get her what she wants, she gives Mom Paula that look that says, "I want it now!" Mom Paula usually gives in. Could you ignore this look? What does your cat or dog do to get attention and what she wants? Truffle - "I want it now!" Binga screams, and if that doesn't work, she just takes what she wants. Truffle sounds like Angelique - she has a sweet lil girly meow, but definitely is a diva and gets what she wants. I just scream till I get it and Crockett gives his cute face and paws at peeps. Ham just goes and gets it. He's very rude. How can you say no to that face?!?! Bear has a similar look ... and I know I'm in trouble whenever he uses it. I thought Bear could raise a stink until we got Ellie ... she followed me around this morning for several hours squawking at me for treats. Such a cutie. When Prancie wants something, she knocks our things on the floor. Yeah, the mom says it's hard to ignore our cute faces, too. When Katie wants something it's tapping on my knee with a pleading face. Works every time.